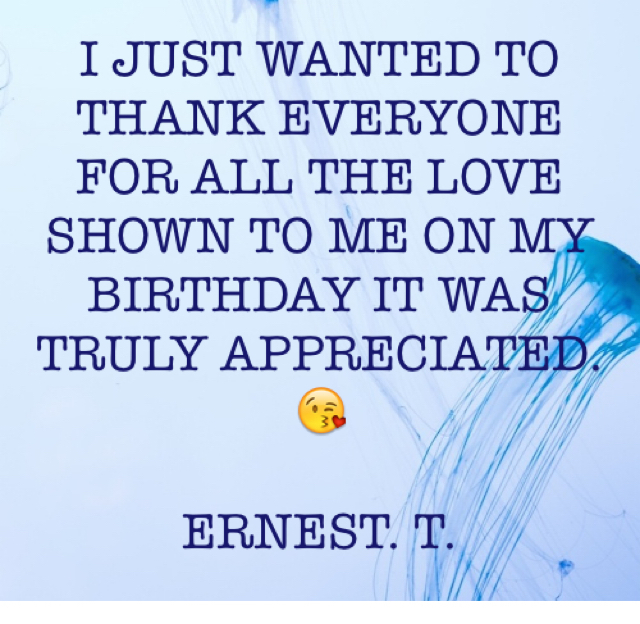 Parable - I JUST WANTED TO THANK EVERYONE FOR ALL THE LOVE SHOWN TO ME ON MY BIRTHDAY IT WAS TRULY APPRECIATED. 😘 ERNEST. T.